So you’ve watched Shark Tank, and you’ve decided you want to start a business. Or maybe you’ve done that already . . . and realized it’s harder than it looks! Or perhaps you’ve experimented with multiple businesses and realized there’s more to the business puzzle than the startup cycle. Most folks who have been in business for any length of time have realized that management positions offer considerable advantages. But how do you get there? If this sounds familiar to you, you might just be ready for the next step: not just starting businesses but learning how to manage them well. In other words, you might be ready for an MBA—a master of business administration. Management is a combination of multiple skills: specific product know-how and general industry trends, people skills and financial savvy, and a high tolerance for risk and well-honed decision-making skills. And all signs point toward an MBA as the stepping stone that can get you there. So far, so good. But let’s say even that’s not big enough for your ambitions in our fast-paced, globalized world. Let’s say that you want to take things to another level—an international level. How do you get ready not just for managing, say, a regional chain of hardware stores but a global supply chain system with locations in Brazil, the United States, Thailand, and Switzerland? Where do you even start? Enter the global MBA, a relatively new development in the world of MBAs. Business schools in the U.S. have led the way in graduate business education for decades, and the two-year MBA has long been accepted as the standard. But a new breed of one-year MBAs at schools in both Europe and Asia is on the rise, and to say they’re holding their own in the world of management would be an understatement! Forbes, for instance, notes the five-year return on investment from traditional two-year U.S. MBAs doesn’t even come close to what students can expect to earn from a European program. “Students at IMD are making $211,000 five years out of school after arriving in Lausanne, Switzerland,” they note, “with a median paycheck of $84,000.” But that’s only one factor among many to consider, however, and U.S. schools still edge out most global schools on many other fronts. At the end of the day, it’s going to come down to you—your goals, your preparation, your time, your budget . . . your call. And that’s where we come in. We’ve compiled a list of the top 50 global MBAs with your needs in mind. The first thing we want to know, like you, is the bottom line: how much is this going to set me back? So we’ve included the annual tuition for each school right up front for you. We’ve also included our College Choice Score, which is computed based on each school’s reputation in the field and its return on investment. The end result is a list of the Best Business Schools in the World that balances cost, reputation, and, ultimately, what they can do for you and your unique goals. You can’t go wrong with any of them, of course, but these schools are leading the way. Good luck with your search . . . and happy globetrotting! HEC School of Management, more commonly known as HEC Paris, is a European graduate business school. It is located in Paris, France and holds the distinction of being home to some of the best MBA programs in the European Union. It holds triple crown accreditation from EQUIS, AMBA and the AACSB International. HEC Paris students have the entire city of Paris at their fingertips. From fine food to street festivals to the opera and more, HEC students can take a moment from their studies to visit any number of cultural attractions that may catch their eye. Even the smallest of streets and alleyways have cultural wonders just waiting to be explored. When students are done exploring Paris, they come back to the school to study. HEC Paris has the widest range of possibilities when it comes to getting a graduate degree. From summer school to part-time study to one year programs, this selective business school grants its students every opportunity to find a way to earn their degree. Harvard University was established in 1636 in Cambridge, Massachusetts, United States. It is a private research university that is the oldest tertiary educational institution in the country. It is best known as the premier university to attend for American students and boasts the world’s largest academic library system, consisting of nearly 80 libraries and over 18 million books. Student life at Harvard is dominated by athletic rivalries, particularly with Yale. Every year in early autumn, the schools meet for their annual match up, which is simply called The Game. Other sports include the school’s rowing teams, which compete against Yale in the Harvard-Yale Regatta, an Americanized version of the Boat Race between Oxford and Cambridge in England. Harvard Business School is one of the most popular departments of the university. It is here that leaders are made, according to the school’s mission statement. The reality is not far from the truth — students are taught the ethics and morals behind business and the changing climate and are expected to learn to discern business solutions to problems by the time they graduate. HBS is the most popular business school in America, and students apply in droves to be picked to become part of the elite group of students who study here. Graduates are often the most qualified for positions and are usually recruited to new positions before they even graduate. It’s no wonder that HBS is a top business school pick for The Economist and The Financial Times. The University of California, Berkeley is a flagship public research university that is located in Berkeley, California, United States. It is one of the most consistently nationally recognized universities in the world. It is also part-manager of three U.S. Department of Energy Laboratories, an arrangement that helps boost student research activity. Berkeley, California, is a cultural hub in its own right. Located on the southern tip of the San Francisco bay, the city holds annual festivals from spring through early autumn for tourists and residents alike. Students spend most of their time outside due to the festivals but there is also a growing admiration for the city’s parks and hiking trails, making it a sustainable destination for environmentally-minded students. Berkeley is home to the Haas School of Business, the second-oldest such school in the United States. It counts two Nobel Prize in Economics winners among its staff and focuses on educating their students through critical thinking experiences and collaborations with San Francisco Bay-area businesses. Courses are crafted to help students work together, much as they would in a business setting, and provides them with much-needed business simulations to mold them into the next great business leaders. Established in 1851, Northwestern University is a private research university that is located in Evanston, Illinois, United States. It also operates satellite campuses in San Francisco, California, and Doha, Qatar. It is best known for being in the top ten when it comes to university endowments, with students and faculty receiving over $550 million to conduct sponsored research every year. Because of the school’s proximity to Chicago, Illinois, which is only 12 miles away, students tend to split their time between the campus and the city. However, many students find campus life too good to pass up — traditions are highly regarded at the school, and every year there are events and parties that the entire student body shows up for. Community service is also a large part of life at Northwestern. Students are encouraged to partake in “alternative spring break” trips, which are student-led community service trips across the United States, offering volunteer services to charities that need them. Students also take part in the Global Engagement Summer Institute, a partnership program with the Foundation for Sustainable Development that sees groups of students go on service-learning expeditions in Africa, Asia or Latin America. While not enjoying campus life, business students return to their education at the Kellogg School of Management. This is one of the top MBA programs in the US. The two-year MBA program allows students to fully immerse themselves in business and exploring an interdisciplinary education while developing the required management skills they will need once they enter the workforce. Dartmouth College is a private research university that is designated as an Ivy League institution. It was established in 1769 and has a history of being one of the most selective universities in America. It is located in Hanover, New Hampshire, United States. Hanover is the epitome of a sleepy college town. It has been named the sixth best place to live in America and is renown for its charm and quiet neighborhoods. The Appalachian Trail crosses right through town, which also houses the U.S. Army Corps of Engineers Cold Regions Research and Engineering Laboratory. The Amos Tuck School of Business Administration is the oldest graduate business school in the world and the first to grant the master’s in business administration. It confers just one degree, the MBA, with specialized dual degrees with partner institutions also available. It is the only business school on this list that confers just one degree, but this specificity lends itself to mastery — by both the student and the faculty — of one field of study. Headquartered in the heart of Philadelphia, Pennsylvania, in the United States, the University of Pennsylvania is a private Ivy League university. It was founded by none other than Benjamin Franklin and was one of the original nine colonial colleges. It is best known for following a multidisciplinary model and for opening the first medical school in America. The University of Pennsylvania, known as Penn to students and faculty, is home to over 100 student organizations and clubs that cover every interest. From literary organizations, like the Philomathean Society, to religious clubs, like The Christian Association, students from every walk of life will find a club that suits their hobbies. Students who are interested in athletics can find rowing, rugby, cricket and more at both the intramural and college professional levels. The varsity sports teams, the Quakers, participate in both the Ivy League and the NCAA Division 1 conferences, with the football and basketball teams holding the titles for league champions in both sports. The Wharton School of Business at Penn is always in the top ten of business school rankings. This can be attributed to the immense support and backing students receive from the school in any business-related endeavor that they take on, from building their own start-up to consulting on various case studies as part of an independent project. And with Wharton satellite campuses across the country and overseas, students can take their studies abroad, giving them the experience and skills necessary to become global business executives and leaders. The University of Virginia was founded by Thomas Jefferson, who authored the U.S. Declaration of Independence, in 1819 and today is one of the country’s foremost public flagship research universities. It is located in Charlottesville, Virginia, United States. It is well known for being the only American university to be recognized by UNESCo as a World Heritage Site, a title it was given in 1987. Students at UVA, the local name given to the university, live a unique existence on campus. Unlike many other US universities, faculty regularly live on campus and invite their students for lunch and dinner. This is in part to foster stronger relationships between the student body and staff and to create a welcoming atmosphere where education can be discussed and debated both in class and on campus. There are several global citizenship initiatives also available at UVA. Chief among them is the creation of the International Residential College which hosts students from some 45 different countries as well as American students to help build bridges and educate students about different cultures. Another popular initiative is the Semester at Sea program. This program sees a group of nearly 750 students traveling to up to 12 countries in less than 100 days on a ship, which is an increasingly sought-after experience for undergraduates. The Darden School of Business is found at UVA. It is considered one of the premier business schools in the US, with students regularly praising its master’s and doctorate degree programs. These courses are taught by a world-class faculty that have terminal degrees in their field and often have more than 10 years of real-world experience in the field that they are currently teaching, leading to an informed and diverse discussion of business as a whole. The University of California at Los Angeles, known as UCLA, is a public research university that is located in Los Angeles, California. It is an internationally ranked university that remains in the top 20 of any list it is mentioned on, making it an attractive school for students at both the undergraduate and graduate levels. This university is selective, accepting just 17 percent of the students who apply, and remains one of the most popular schools in America. Los Angeles is the West Coast’s film hub. Students who study at UCLA have access to the beach, Hollywood, studio tours, live shows on the Sunset Strip as well as a strong arts district. Students will find that a wide range of experiences can be had in this city, including hiking trails, time spent at the Observatory as well as day trips to Disneyland, San Diego and more. When students are ready to go to class, the Anderson School of Management awaits them. This is the graduate business school found at UCLA and is the home of the unique Global EMBA for Asia Pacific. This degree focuses a student’s business education in the Asia Pacific region and requires study and work abroad in order to graduate. The University of Queensland is an Australian sandstone public research university. It is located in Brisbane, Queensland, Australia. It is internationally ranked as a top university and the school’s main campus at St. Lucia is separately ranked as one of the most beautiful campuses in the world. This university, known affectionately as UQ, is a contributing charter member of EdX, a consortium of higher education found online that is led by Harvard and MIT. It is also a center for pioneering medical research, where important discoveries — such as a cervical cancer vaccine invention — were supported by this world renown faculty and staff. UQ has a number of campuses throughout Queensland, but its main campus is located in the St. Lucia neighborhood in Brisbane. This campus is central to various museums and galleries in and around the Brisbane area, where students can enjoy a range of cultural activities. Nearby is the ocean, where many students take time from their study schedules to surf and relax between exams and projects. The UQ Business School houses degrees at all levels of study for business students but is best know for housing one of the top MBA programs in the Asia Pacific region. The MBA program pairs students with real-life business projects and clients to prepare them for the changing global climate in business. This, in turns, produces students who are adaptable and can grow with their industry. Known as one of the world’s best universities, Stanford University is located in Stanford, California, United States. It is a private research university that is known for counting among their alumni the founders of Google, Nike, Instagram, Snapchat and more as well as sixty Nobel Laureates and hundreds of current and former members of Congress. Students at Stanford can participate in the vibrant campus life, both by becoming members of organizations, enrolling in community service programs or by joining in on Stanford’s traditions, such as the Viennese Ball and the Mausoleum Ball, the school’s annual Halloween party. Religious services of different faiths can also be found on campus, giving students the ability to connect through a shared fellowship. The Stanford Business School is an exemplary school that focuses education on specialization as much as it does on general education. This graduate school has certificate options alongside its masters and doctorate degrees, allowing working professionals who want extra education but not necessarily another graduate degree the ability to learn from experts. Chief among the popular programs is the Stanford Innovation and Entrepreneurship Certificate, a program which helps entrepreneurs realize their dreams in as little as a year. INSEAD is a standalone private graduate business school. It is headquartered in Fontainebleau, France with other campuses in Singapore and Abu Dhabi. The school is the premier business institution of higher learning in France and is regularly ranked in the top 10 graduate schools for business in the country. INSEAD students who study in Fontainebleau will have a relaxing and scenic student life. Located just 35 miles southeast of Paris, the sub-prefecture is home to the Fontainebleau Forest, a regular weekend holiday attraction for Parisians. The forest surrounds dozens of villages and the town itself and is a popular destination for climbers, horseback riders and hikers. Students can also take time to explore the town centre or visit the Royal Chateau de Fontainebleau. This historical site was once a palace for the French Royal Court and was the seat of the Renaissance. For international students, these sites will be of interest and a welcome getaway from the school grind. INSEAD is a leader in providing business degrees to graduates and working professionals, but it’s how it establishes the degree program pathway that sets it apart. Students working on the core curriculum for the MBA program can start their foundation studies at one campus and finish it on another campus with no lag in between. This is because INSEAD is a global campus that provides the same courses, taught in the same way, on all of its campuses. For this reason, INSEAD is a great fit for students who wish to spend time in different regions while earning their degree. The Massachusetts Institute of Technology, also known as MIT, is a world-renown private research university that is located in Cambridge, Massachusetts, United States. It was founded in 1861 and is modeled after European polytechnic universities of the time. The school has a reputation for building leaders in a variety of fields and for having an entrepreneurial spirit. MIT life is anything but boring. The school has a long and storied history of practical jokes and unusual traditions. Among the activities students can participate in is the Independent Activities Period, a four-week unofficial term filled with hundreds of optional classes such as Mystery Hunt and Charm School. Cambridge, Massachusetts, is home to both MIT and Harvard, leading students of both universities to co-mingle in town. The town hosts a variety of museums and galleries that have rotating exhibitions as well as an active music scene. And students from both universities often engage in friendly sporting competitions, such as fencing and rowing. The Sloan School of Management is housed at MIT. It is one of the three top business schools in US, offering business degrees at all levels of education and for all types of students. It is best known for its initiative programs, which are specializations within degrees that help a student further focus their field of study. First established in 1754, Columbia University is a private research university that is a part of the Ivy League group of American institutions. It was founded before the Declaration of Independence, making it one of the nine original colonial colleges. It is also home to the Pulitzer Prize. It is located in New York City, New York, United States. Student life in New York City, known colloquially as the Big Apple, is nothing short of amazing. From live ballet and opera to street festivals taking place on weekends, the city is alive every moment, bursting with new and exciting things to do. Students can spend time at the New York film festival, catch a glimpse of New York Fashion Week, or intern with any of the hundreds of businesses that make their home in this city. Columbia Business School ensures that students stay right in the thick of the business district as well, requiring students to take internship or workshop opportunities with a rotating group of business and companies in order to earn a graduate business degree. This requirement is a blessing as well — many students are offered employment by the very companies they’ve interned with prior to or shortly after they’ve graduated. The University of Chicago was established in 1890 and is a private research university. It is best known as a school that produces some of the greatest minds in all fields of study, including literary criticism, physicals, law and economics, religion and political science. It counts 89 Nobel Laureates as students or faculty and is renown for educating heads of states from various foreign countries. It is located in Chicago, Illinois, United States. Students who study at the University of Chicago are never bored with life outside of their studies. Chicago is the third largest city in the United States in terms of population and has been listed as an alpha global city by the Globalization and World Cities Research Network. It is home to a vibrant music night life and for its sports culture, particularly baseball and football. Back on campus, students at the University of Chicago Booth School of Business are educated by business experts and experienced faculty with a global focus on the different aspects of business. Courses are held with the expectation that students participate in debates and discussion, team projects, and collaboration with businesses. This helps foster a strong understanding of how business works and the skills that are needed to become global leaders that can face any challenge head on. Founded in 1969, Macquarie Graduate School of Management is the graduate business school found within Macquarie University. It is a public university that is located in Sydney, Australia, with a sister campus in Hong Kong. It is accredited by AACSB International. Macquarie students will find life in Sydney to be multicultural, as the city is a global cultural and economic hub. More than 250 languages are spoken in this city of 4 million people, and activities here are as diverse as the people who call it home. Sydney is home to the Royal National Park, Bondi Beach, the Royal Botanic Gardens, Sydney Opera House and more. It is a burgeoning fashion and entertainment hub, with music and art festivals taking center stage all year round. Students can move between live theatre shows to relaxing on the beach to taking in the cultural sights, all without leaving the city. MGSM has one of the best MBA programs in the Asia Pacific region with a key focus on post-doctoral research in sustainable leadership and organizations. It is unique in its approach to degree programs in that the MBA program is both for full-time students and working professionals. It continues to be internationally recognized in the top 100 in business schools rankings. Henley Business School is the business school that is based at the University of Reading. It located at Henley-on-Thames and Reading, England, UK. It is just one of 55 institutions to recipe the triple crown accreditation by EQUIS, AMBA and the AACSB. It is currently ranked among the top 50 business schools in the world. Henley-on-Thames is a great city for students who love rowing as a pastime. It is a renown center for rowing, and every summer the Henley Royal Regatta is held on Henley Reach, a straight stretch of the river that rowing competitions take place on. It is the most important and most widely watched sport in Henley. Students of the Henley Business School will find that the school is the largest conferrer of MBA degrees in the world. It also has some of the most intriguing MBA programs, such as the MBA in Music and Creative Industry, which has become sought after for its specialization within the entertainment industry. Each degree program was designed for business professionals with prior work experience, meaning that students who are accepted take part in Henley’s programs for the leadership and administrative skills they foster. New York University was founded in 1831 and is a private research university. It is one of the largest private nonprofit universities in America and is among the top schools in the country. It is located in New York City, New York, United States. The school also operates 13 academic sites all over the world. The school’s location within New York City gives students a particular type of student life. Living in the largest city in the country, students are treated to a global experience both on and off campus. NYU students can get lost for days, exploring the city’s many museums, music venues, Broadway, or participating in any number of festivals and events that take place every day here. With the United Nations a stone’s throw from the university, NYU students are also located in one of the international diplomacy centers of the world. Diplomats, politicians and business leaders from around the world make their way to the city, many of which stop by Stern. Stern is NYU’s business school, and it is considered to be one of the top business schools in US. Among the variety of programs held at the undergraduate and graduate levels lies Stern’s focus — global studies in business. Stern students often vie for a position in the school’s prestigious TRIUM Global Executive MBA. This degree is issued to students by Stern, London School of Economics, and the HEC Paris School of Management. This program is 17 months in length and results in a highly qualified business leader who understands the why and how of how business changes due to the global market changes. Carnegie Mellon University is considered one of the top 25 universities in America. It is a private research institution that is located in Pittsburgh, Pennsylvania, the United States that also grants degrees at satellite campuses across six continents. It was founded in 1900 by noted philanthropist Andrew Carnegie. Carnegie Mellon students love taking time from their studies to explore Pittsburgh, which has a long and rich history in arts and culture. The city has its own orchestra, opera, ballet theatre and even a burgeoning filming community — Pittsburgh now has its own movie studio. For students who just want a bit of fun, there’s always Kennywood, the city’s popular amusement park. When students are ready to get back down to studying, the Tepper School of Business is where undergraduates and graduates go to get their business degrees. The school puts students first, crafting the programs so that class sizes stay small and students can form relationships with their classmates and faculty. Of all of the business schools on this list, Tepper consistently has the smallest class sizes in every program. The University of Michigan is the flagship institution of the Michigan State University System and is a public research university. It is located in Ann Arbor, Michigan, United States, with satellite campuses in Flint and Dearborn, Michigan. It is considered to be a university with a high level of STEM research being conducted by graduates and Ph.D. candidates. Michigan is known for implementing “living-learning” communities for students who reside on campus. These communities group together students who are studying the same majors and houses them together, providing an intimate learning setting that is then translated into volunteer work and other extracurricular activities. Along with “theme” communities, which are based on shared interests, Michigan students have the ability to build lifelong relationships with classmates while studying for their degree. Michigan Ross is the university’s business school. It is best known for having a 97 percent employment rate for MBA graduates within three months of graduation and for being one of the most globally ranked business schools in the world. This business school thrives on global initiatives and student experiences on the international stage. Undergraduates and graduate students are encouraged to study abroad or do an international internship to better understand how business works across borders. This is put into practice through practicum courses and the Global MBA program, the most popular degree at Michigan Ross. Founded in 1838, Duke University is a private research university. It is a large campus that is located in Durham, North Carolina, United States. It is a highly active research institute that ranks fifth nationally for having produced the most scholars. Duke life, although on a big campus, is very intimate. Students are required to live on campus for the first three years of their schooling in order for them to foster bonds with their classmates and create new friendships on school grounds. Students, however, can spend time in Durham taking in the arts and music scene, of which the city is well known for. It is the home of the American Dance Festival and the Full Frame Documentary Film Festival. When it’s time to return to studying, the Fuqua School of Business is where graduate business students congregate. The business programs offered at Duke are quite short, with the Day Time MBA being the longest at 22 months, but the programs are rigorous and demand only the best from the MBA candidates. These programs were created for professionals with prior work experience and the selection process is competitive, but students will find that a degree from Duke will go a long way in helping them secure the job of their dreams. IE University is a private institute of higher learning. It was founded in 1997 as Instituto de Empresa as a graduate professional school for business and law. The main headquarters for the university is in Segovia, Spain with campuses in Castile, León, and Madrid. It is most known for its business school, which is one of the top ten graduate schools for business in Europe. IE Business School students attend the Madrid campus, which is surrounded by museums and art centers. The city itself is one of the top art destinations in Europe, with dozens of art galleries and museums scattered throughout the neighborhoods. It is the number one reason tourists flock by the millions to the city. Another reason students might enjoy Madrid is that it is widely considered the epicenter of the Spanish language. The city is home to both the Royal Academy of Spanish Language and the Instituto Cervantes, both institutions that preserve and protect Spanish while keeping a historical record of the changes that have occurred in the language. IE Business School is internationally respected for its International MBA program, a full-time program that was first launched in 1983. It is a one-year track of study and is unique in that it offers students the opportunity to take the program in either English or Spanish. Students can also elect to do an internship with a company under either language, leading them to graduate with a strong knowledge of two languages — a skill that will attract them to many employers. Yale University is an American Ivy League school that is located in New Haven, Connecticut. It is a private research university that is best known for graduating an impressive number of U.S. presidents and congressmen, as well as foreign heads of states and billionaires. It is also one of the most selective American universities, with only six percent of applicants offered a place at the school annually. The university is distinctive in that it follows the form of the residential colleges that European institutions are known for. These colleges categorize undergraduates into socially intimate settings that give them the freedom to build relationships with both classmates and faculty within their desired field of study. Students also have nearly 400 organizations to choose from for extracurricular activities, including drama clubs, athletic teams, and political groups. These groups are regulated and presided over by the Yale College Council and the Graduate and Professional Student Senate, the school’s undergraduate and graduate student governments. The Yale School of Management is one of the top business schools in the US. This graduate school offers a unique MBA for students, one that utilizes “raw case,” a form of an open-ended online case study in which students help solve a real-world problem for a business client. The students come together as a team and create a business strategy for their client’s needs, utilizing all the knowledge they’ve learned from their time in the program. Founded in 1836, Emory University is a private research university. It is one of the 50 oldest universities in the country and is home to the internationally recognized Emory University Hospital. It is located in Atlanta, Georgia, United States. Emory has an exciting student life. Students partake in everything from art events, held at the Schwartz Center for Performing Arts, to coming together for community service as part of Volunteer Emory to even taking courses and doing internships as part of the international program. Students also have hundreds of clubs and groups to choose from on campus to pursue various interests. Students also come together through Greek life as well as sports, bringing together a large student body to encourage a more intimate setting for students to build meaningful relationships and pursue new hobbies. At Goizueta Business School, over 100 years of experience comes together to build a new generation of business leaders every four years. Goizueta is different from other business schools, choosing to blend theory and practice within courses so that students can master skills quicker and move on to more challenging issues while building on the strong educational foundation they’ve been given at school. This blended method of teaching has Emory students more prepared than other business students when it comes to finding work in the business sector. Emory students are more likely to have had consulting or internship opportunities with Fortune 500 companies and 75 percent of graduates receive a job offer before receiving their degree. The University of Mannheim is a public research university that is located in Mannheim, Baden-Wurttemberg, Germany. It is home to the top-rated business school in Germany and is a member of the International Association of Universities as well as the International Business Education Alliance. UMA is famous for the night life that can be found on campus. Parties are regularly hosted by different student councils of the school’s departments, and opening and closing parties for each term are also tradition. And because the school campus is located in downtown Mannheim, students have access to the night life district, including the Jungbusch District, which is an up-and-coming bar district. While students can relax and unwind with the rigorous night life and the various sports that can be found around campus, the Mannheim Business School is a serious matter. This selective school provides the students with an education taught by faculty that generally have terminal degrees in their field or at least a decade of experience in the business sector. Working professionals are welcome at the University of Mannheim, with the Executive Education program being tailored specifically to their needs. Any MBA candidate who is accepted into the school will find that courses can be delivered to them, regardless where they are in the world, allowing them to finish their education at a respected business school while continuing to flourish in their career. Cornell University is a private Ivy League doctoral university. It was founded in 1865 as one of the first universities to study broad subjects, not just specific fields of study and is a fully nonsectarian institution. It is located in Ithaca, New York, United States. Cornell students spend a lot of time in Ithaca, mainly outdoors. The town is home to Buttermilk Falls State Park, Finger Lakes Trail, Sagan Planet Walk and more, adding to the natural beauty that has made the university so well known. It is a great university for students who love hiking and living in a small town. Cornell is currently in the stages of building a new business school, but it doesn’t have far to go — the university is already home to three separate accredited business schools, including the School of Hotel Administration, the Charles H. Dyson School of Applied Economics and Management and the Samuel Curtis Johnson Graduate School of Management. Integrating these schools together will create a brand new cohesive business school, ensuring that Cornell will find itself at the top of every business school rankings list that exists. The Escola Superior d’Administració i Direcció d’Empreses, known as ESADE, is a private Jesuit institution within Ramon Llull University. ESADE runs the business and law school along with language centers for the university. It is located in Barcelona, Catalonia, Spain. ESADE students will no doubt be impressed with the city of Barcelona. It is a main tourist attraction in Spain and is known for housing seven separate World Heritage Sites as designated by UNESCO. The city is filled with museums, nearly 100 parks and seven beaches. It is a metropolitan city that is as unique and diverse as the student body itself. ESADE Business School has the reputation for being a triple crown school, having gained accreditation from EQUIS, AMBA and the AACSB. It is currently ranked in the top five best European business schools and 13th worldwide. It is also known for its collaborations with nearly 100 universities worldwide, allowing students from various countries to study at the school while earning credits for their business degrees in their home country. Indiana University in Bloomington, often referred to by students as IU, is a public research university. It is the flagship institution of the Indiana University system and it is located in Bloomington, Indiana, United States. It houses one of the best undergraduate business schools in the US. The city of Bloomington, Indiana, is well known as a Tree City, a designation given to cities who partake in the Arbor Day Foundation plant and tree care program. It is close to Lake Lemon, the 11th largest lake in Indiana and is a popular weekend destination for students who want a break from studying. Students can also relax by hiking and biking in and around the city. IU is home to the Kelley School of Business which offers both undergraduate and graduate degrees in various fields of business study. It is a unique business school in that it forgoes traditional teaching methods for undergraduates and instead allows students to simulate real-world business strategies and case studies with classmates and on their own. This readies students to become engaged and thoughtful business leaders from the moment they step into the business arena. The University of Washington is a public flagship research university that is headquartered in Seattle, Washington, U.S. and is among the oldest universities on the West Coast. It is home to one of the most prestigious medical schools in the world and is nationally recognized for its commitment to research in the medical field. Students who come to UW will find that life in Seattle is a breath of fresh air. The city boasts a high number of live entertainment acts all year-round and has numerous parks and museums for students to get lost in. The school is also home to the Washington Huskies, who play in the NCAA Division 1-A conference, a source of school pride. UW’s Foster School of Business supports top business programs at both the undergraduate and graduate levels. Students can choose from a variety of specializations in business, including Finance, Global Executive MBAs and more. And students who are working professionals will find UW’s evening MBA program a great fit for their needs. Business students will be keen to focus on the University of Washington as it currently holds a national ranking in the top 30 for job placement, with 95.6 percent of students finding employment before graduation. Students also can take part in internships both at home and abroad, increasing their chances of employment before they get their degree. The University of Texas at Austin, also known to locals as UT Austin, is the public flagship institution of the University of Texas System in the United States. It is also a research university that is the fifth-largest university in the country. It holds the distinction as one of the U.S. “Public Ivies,” a term referring to public universities that hold the same level of quality education as Ivy League schools. The city of Austin, Texas, where UT Austin is based, is largely considered the entertainment hub of the South. The city is home to Austin City Limits, a music concert series, as well as the SXSW Festival, an annual film festival that garners tens of thousands of tourists a month. The school is also home to the Longhorns, UT Austin’s athletic teams, which as a whole are ranked in the top 10 best athletic programs in the nation. Business students will spend the majority of their time at the McCombs School of Business, the college that offers undergraduate, graduate, and postgraduate degrees in varying fields of study. This school stands apart from others on this list in that this school focuses on research and the policy decisions that influence business, rather than just teaching the fundamentals. This makes it perfect for working professionals who are looking to move into administrative roles. The International Institute for Management Development, or IMD, is a graduate business school that is located in Lausanne, Switzerland. It currently internationally ranked first in open programs by the Financial Times, an honor it has held since 2011. It is best known for its commitment to training and developing executives into full fledged business leaders. Students who study at IMD will love the city of Lausanne. The city is home to the home of international sports politics and policy. It is recognized as the Olympic Capital and it hosts the International Olympic Committee, the Court of Arbitration for Sport and over 50 international sports associations. Sports are a big part of life in Lausanne, and students often find themselves on the water at Lake Geneva or mountaineering and even cycling. Skiing is also a popular pastime, with students taking day and weekend trips to the nearby mountains in the winter to make full use of the snow. IMD’s business programs focus more on the self-development of the students, who come from a diverse group of backgrounds, rather than standardized MBA education. Students are required to go on several school trips to cities across Europe to expand and build their network as well as take part in the International Consulting Project in the fall, where they will be part of team that works on a problem selected by a real business client. The MBA program is a full year with no breaks, so its best suited for a working professional who can afford to take a sabbatical from their career. Requirements are strict and the selection process is selective, but for those who are accepted into IMD, it can be a life-changing experience. The University of North Carolina at Chapel Hill is one of the oldest and most respect universities in the United States. It is a public research university that holds the mantle of being a Public Ivy school. It is located in Chapel Hill, North Carolina. It is known internationally for opening its own hospital, called UNC Health Care, which focuses on cancer care and research. One of the most interesting aspects of student life at UNC is Campus Y, a social justice hub that is located on campus. It was founded in 1859 and serves a number of service and internationally focused clubs and groups. Students come to Campus Y to find opportunities to volunteer and learn about progressive activism. UNC is home to the Kenan-Flagler Business School, which houses all of the school’s business degrees, including those that can be found on the online portal. Students who wish to gain a business education will find ample opportunities for internships and research projects as UNC is part of the Research Triangle, a trio of schools in North Carolina that are renown for the discoveries and research that is led by students. EDHEC is a global business school. It was founded in 1906 and is headquartered in Lille, France with campuses in Nice, Paris, London and Singapore. It is a triple crown business school, having gained accreditation from EQUIS, AMBA and AACSB International and is ranked third worldwide as a business school. Student life at EDHEC is littered with architectural marvels, a distinctive feature of Lille. The city, which sits close to the Belgium border, is rife with Flemish architecture. Lille also hosts an annual braderie, one of the largest gatherings of its kind in France. It’s a great place for students to pick up souvenirs to take home with them. EDHEC has a broad range of business degrees available, both at the bachelors and masters level. The most distinctive feature of the school is the Master In Management program, which is the flagship degree. This degree requires students to cycle through the school’s various campuses in order to complete the degree. MBA candidates learn about managerial disciplines while working in different fields in different countries, ensuring that these students can adapt to changing workplaces and creating strong business leaders for the industry. Established in 1967, the Cranfield School of Management is the business graduate school of Cranfield University. It is the only postgraduate university in the country that focuses on science, technology, engineering and management as fields of study. It is located in Cranfield, England, United Kingdom. It is a triple crown school, having accreditations from EQUIS, AMBA and AACSB. Cranfield is a village that is located in Bedfordshire, England. It is nestled between Bedford and Milton Keynes. The village is notable for the Church of St Peter and St Paul, a historical place of worship that has records going back to the 17th century. Cranfield School of Management is one of the oldest European business schools and is best known for the collaborative research that is done between students, faculty and participating businesses. Students will have the opportunity to work side-by-side with influential business experts while studying for their degrees, all of which can be customized to fit that student’s busy schedule. Ohio State University was founded in 1870 and is a public research university. It is headquartered in Columbus, Ohio, United States, but also has satellite campuses across the state. It was originally established as an agricultural and mechanical college but has since gained a reputation for providing a shining example of academic excellence within Ohio. Student life at OSU, as the university is called by the locals, is never dull. There are over 1,000 organizations to choose from, ranging from religious and political groups to sports clubs to drama troupes. Students from all walks of life will find at least one club that speaks to their interests, ensuring that they make lifelong friends while pursuing a hobby with like-minded people. Off-campus life is also interesting. Columbus has a park district that includes a variety of metropolitan parks for students who love to be outdoors. The Columbus Zoo and Aquarium is not far from campus either, and annual festivals and events litter the school year, so students are never at a loss for something to do. The Fisher College of Business is the home for undergraduate and graduate business students. For over 100 years, the school has been providing some of the best education in international business, management and administration and more for its students. Of particular note for business students is that Fisher teaches from an experiential learning aspect. This means that in lieu of lectures, many courses are taught through simulation training, debates, team projects, and capstone projects that require collaboration with a real-world business client. The school believes that taking this approach to school strengthens a student to understand what being a leader in the business world is actually like. The IESE Business School of the University of Navarra is a graduate business school that is globally ranked as a top business school. It is the best to know for its MBA program and for being initiated by Opus Dei, a prelature of the Catholic Church. It is headquartered in Navarra, Spain, with campuses in Barcelona and Madrid, Spain; Munich, Germany; Sao Paulo, Brazil; and New York City, New York, United States. 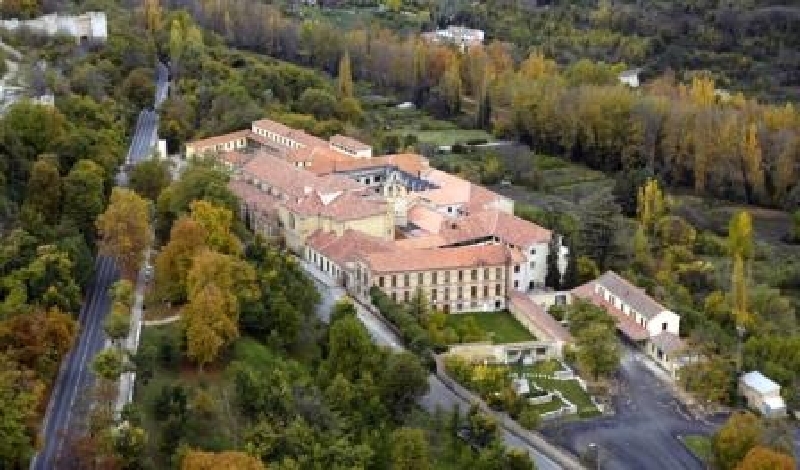 IESE Business School is located in Navarra, a rural area that is best known for its capital, Pamplona, which is often associated with the annual Running of the Bulls. The area surrounding the school, however, is geographically striking, with mountains and forests that are vastly different depending on the location within the region. International students who study here will want to take in sights like the Bardenas Reales and the Irati Forest. IESE focuses on graduate-level business programs, including degrees and professional certificates. The school is well known for its Global Executive and Global CEO programs, both of which require significant case study projects and internships in order to complete the degree. All programs that are featured at this school, however, remain at the top of all business school rankings, ensuring that IESE students are always welcome to apply for leadership positions. Located in Nashville, Tennessee, Vanderbilt University is colloquially known as Vandy. It is a private research university located in America that is named after shipping and rail magnate Cornelius Vanderbilt, who gave founded the school despite the fact that he’d never been to the South. It is an internationally diverse school with all 50 U.S. states and close to 100 countries being represented within the student body. Vanderbilt University is situated in the heart of Nashville, known in America as the heart of country music. The school campus also has the distinction of being a national arboretum — a name that recognizes the campus as featuring over 300 species of trees and shrubs as part of its landscape. The Owen Graduate School of Management that is housed at Vanderbilt University is known to be one of the best MBA programs in the U.S. and has produced some of the finest minds in business. The MBA program on its own has several different concentrations, including a Healthcare and Executive MBA. Vanderbilt also offers students the opportunity to graduate with joint degrees from other university graduate schools. 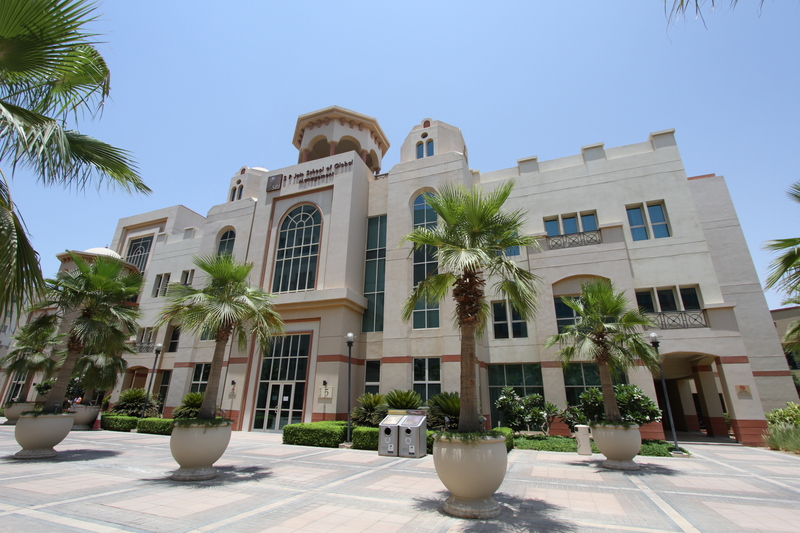 Joint degrees are held with the Medical School, the Law School and the School of Engineering. This saves students time when studying for both degrees, as 12 credit hours can be used for both master’s degrees, saving them a full year of school. Founded in 1789, Georgetown University is a private, nonprofit research university. It is located in Washington, D.C., United States. It also has campuses in Italy, Turkey and Qatar and is the oldest Catholic university in the country. Georgetown University is often nationally ranked in the United States for its activism, which is a huge part of student life on campus. Students use the backdrop of the nation’s capital as a way to focus attention on social justice issues, such as violence against women, homophobia and more. Students are also politically active on campus as well, engaging both classmates and the D.C. area as a whole on issues such as presidential elections and Supreme Court cases. While not advocating or debating political issues, business students turn to the McDonough School of Business. This is a premier business school in the country, and students who graduate with an undergraduate or graduate degree from Georgetown often find work before they graduate. What sets Georgetown apart from other business schools is the focus on global issues in business. Because the school is located in Washington, D.C., the school has garnered partnerships and alliances with several multinational companies that engage students through workshops and internships. It is the best business school for students who want to get a degree in International Business. SDA Bocconi School of Management is the graduate business school of Bocconi University. It is located in Milan, Lombardy, Italy and is recognized as on one of the best business schools in the world. It holds a “triple crown” of accreditations, holding AACSB, EQUIS, and AMBA accreditations, along with the CSQNet accreditation. It is also a member of the European Foundation for Management Development. Students who study business at SDA Bocconi will find that life in Milan to be an interesting mix of cultures. The city is the third-largest economy in the EU after Paris and London and is a global cultural hub. Fashion shows, museums, art and film festivals, live music and nightlife all take center stage here. SDA Bocconi is perfectly located for business students. The campus is not far from the business district, which houses Italy’s stock exchange and the business headquarters of multinational banks and companies. MBA candidates are often given internships and work opportunities at these companies as part of their degree plans, and most will find that SDA Bocconi has a work or study experience that is right for them. The University of Notre Dame is a private, Catholic research university that is located in Notre Dame, Indiana, United States. It is known best for its football team, the Fighting Irish, as well as being nationally ranked as a global university for its strong academic showing and its research history by both students and faculty. It was founded by, and is still affiliated with, the Congregation of the Holy Cross. Notre Dame student life is extensive and often involves participation in some sort of athletic activity. Intramural and group sports are enjoyed by a majority of the student population, while fencing, tennis, soccer, golf and cross country remain competitive. The school also runs a variety of media outlets, including newspapers, magazines, journals, and tv shows. The Mendoza College of Business is the most popular destination for students who enter Notre Dame, especially those interested in moving into a leadership role in a nonprofit organization. The school is unique in that it provides a specialized degree, the Master of Nonprofit Administration, for students and aims at providing NGOs and charities with exemplary leaders who understand the requirements and challenges of running those organizations. Established in 1855, Michigan State University is a flagship public research university. It is located in East Lansing, Michigan, United States, and is the eight-largest university in the country. It is known for innovating education in fields such as hospitality business, supply chain management and communication sciences. It is globally ranked in the top 100 research universities. Student life at MSU is often associated with sporting events. The school’s athletic teams, the Spartans, have a fervent fan base among the student body. Celebrations are annually thrown for the teams, usually during the NCAA tournament, of which the men’s basketball team annually takes part in. Sports is not all MSU is known for, however — the city of East Lansing has many natural landmarks and parks that students spend time in, such as the W.J. Beal Botanical Garden, the oldest such garden in the United States. The Abrams Planetarium and the MSU Observatory are also great places to visit. The Eli Broad College of Business is the central hub for business students. Degrees are handed out at the undergraduate and graduate levels, with most degrees being conferred for a specialized master’s degree. The specialization of a degree is something Broad excels in, understanding that an MBA with a concentration makes its students more valuable in the workplace. 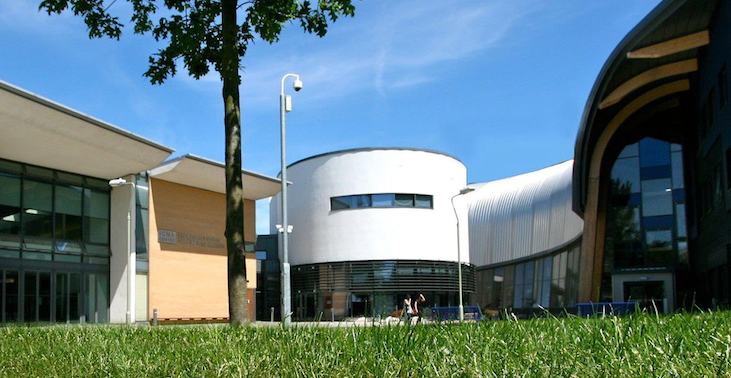 Located in Coventry, England, the University of Warwick is a public research university that is nationally ranked in the U.K., along with Oxford and Cambridge, as one of the top 10 schools in the country. Its primary location is in Coventry with satellite campuses in Wellesbourne and London. It is currently a member of the European University Association and Universities U.K., which are prestigious university associations. The school is home to the Warwick Arts Centre, which is the largest multi-venue arts complex outside of London in the UK. It also holds recognition within England as being an institution that has never been ranked outside of the top ten in any category since it was established in 1965. The Warwick Business School is currently accredited by the AACSB International and offers both undergraduate and graduate degrees. 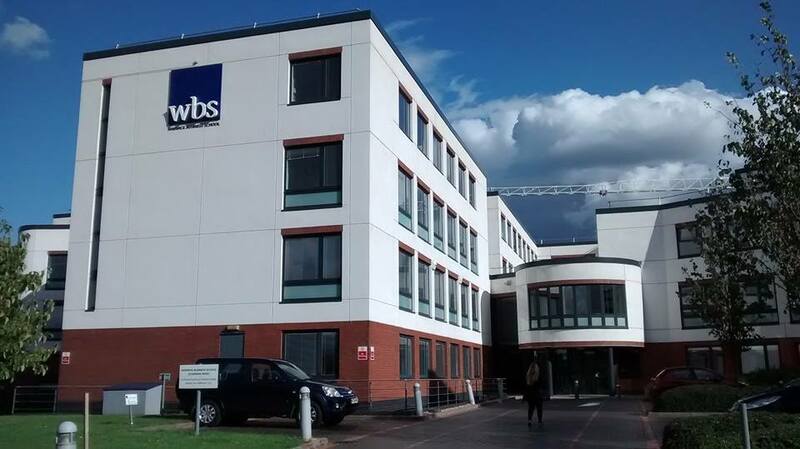 It is currently seen as one of the top business schools in Europe and is celebrated both for the quality of education it provides its students as well as the variety of concentrations a student can choose from while at WBS. This business school will be of particular importance to working professionals who are seeking executive-level education from a world-class university. Students can inquire about Open Programmes and Bespoke Solutions, which are programs that are designed and created for individual students in mind. Washington University — St. Louis is the most prestigious university in Missouri, which is located in the U.S.and has the distinction of having been ranked among the best undergraduate business schools in America. It is a diverse private research university that counts students from all 50 U.S. states and 120 countries among its student body. The school is currently ranked 32nd in the world by the Academic Ranking of World Universities for its commitment to academic excellence for its undergraduate and graduate students. WUSTL is located in the heart of St. Louis, a city with a rich historical and cultural opportunities for students to take part in while not studying for their degree. The school itself has over 300 student organizations as well as an active athletic life and many entertainment venues that students can enjoy. Washington University’s Olin Business School is an undergraduate and graduate business school that encompasses the broad spectrum of fields of study of business administration, international business management, and more. The programs found at Olin is accredited by AACSB International, the world’s leading business accreditation association. Olin also offers international business students the ability to work and study abroad as part of their degree’s curriculum. Among the programs is the unique Israel Summer Business Academy, a program designed for students who are interested in working in Israel’s business sector. As Australia’s second-oldest and most respected university, the University of Melbourne is one of the top universities in the world and is continuously ranked in the top 50 best schools to attend internationally. It is a public research university that is headquartered in Melbourne, Victoria, Australia and counts four Australian Prime Ministers as alumni. The University of Melbourne is a treasure trove of knowledge and culture and includes nine libraries and four museums. Aside from the rich history of arts and culture that can be found both on campus and in the Melbourne Arts Precinct in Southbank, students can also spend time enjoying Port Phillip Bay and the water sports that are available to this costal city. The Melbourne Business School is a graduate school and one of the top providers of executive education at the professional level in the Asia Pacific region. Because it is co-owned by member companies of corporate Australia and the university, Melbourne Business School has an extensive list of internship and project opportunities for students that can be found nowhere else in the city. Students who are looking for a strong educational background in business will want to apply to the University of Melbourne. It is currently ranked in the top one percent for its MBA program and it is accredited by both Equis and AACSB International. Students who graduate from this program are more likely to get a job offer before graduation than any other program. London Business School is an internationally known business school that focuses on graduate education. It is one of the best business schools in the world and is consistently ranked first among other leading universities. It has triple crown accreditation from the AACSB, EQUIS, and AMBA, making it just one of 55 schools to receive the honor. It is located in London, England, UK. LBS students will love studying in London, the capital of England and the UK. Aside from being an economic powerhouse, the city has a vibrant theatre and entertainment scene. Festivals, gallery showings, London Fashion Week, and concerts are a daily occurrence in the capital, and many students will discover at least one new hobby throughout their time at the school. London Business School is best known for its MBA program, which takes between 15 and 21 months to complete. Students who have found placement at LBS will be required to not only excel academically but also partake in workshops led by experts in various fields as well as spend a term studying abroad at another prestigious business school. It’s all worth it in the end — 100 percent of LBS students find employment by graduation. The University of Hong Kong is the oldest university in the territory. It is a public research institution that is headquartered in Pokfulam, Hong Kong and is one of the premier universities in Asia to teach primarily in English. It is best known for its role in isolating the corona virus, the agent of SARS. Student life in Hong Kong is an interesting mix of both Eastern and Western cultures. It is a cultural and entertainment hub that sees multicultural influences reflected in everything from the architecture of the city’s building to the entertainment parks and nightlife districts. Students can spend an evening watching a film in one of the city’s preserved old theaters, then move on to eating dim sum street food into the early hours of the morning. The University of Hong Kong’s Faculty of Business and Economics is where most students gain their degrees. The business school is accredited by both the AACSB International as well as Equis and consistently ranks in the top 20 best business schools in Asia. This is the best school for undergraduate students that are looking to major in international business, as the campus is located in one of the major business hubs in the region. The University of Maryland is a public, research flagship university that heads the University System of Maryland. It is located in College Park, Maryland, United States. It is nationally renown for its research collaborations and projects with the federal government and has played a role in various partnerships with the Department of Homeland Security, NASA, and the National Institutes of Health. Due to the university’s proximity to the nation’s capital of Washington, D.C., UM students often spend their study-free time touring historical sites and working with companies that are headquartered in the area. Volunteering is also a large part of student life, with the majority of students taking at least one hour a week to give back to the community. The Robert H. Smith School of Business is UM’s hub for all business-related degrees. It is internationally known as a center for business research and management education. Students can take on internships as well as other corporate opportunities while studying part-time or full-time for their degree. Founded in 1209, Cambridge University is the second-oldest English-speaking university in the world. It is a public research university that is located in Cambridge, England, UK, and was founded after a disagreement with the townspeople of Oxford. The school is regularly named one of the top universities in the world. Cambridge students enjoy living in a university city that is filled with so much entertainment and art. Theatre is a mainstay of the town, with the Arts Theatre often hosting touring shows and the Cambridge Corn Exchange annually becoming a live music venue for artists. Fairs and festivals are also commonplace, particularly in the summer, adding to the rural British countryside feel that makes Cambridge a favorite college for students. Cambridge is home to Judge Business School, a graduate school that houses MBA and professional certificates for working professionals and MBA candidates. The school is most notable for encouraging self-sufficiency and critical thinking from its students, providing them open-ended case studies and problems to solve as part of their requirements for graduation. It is this education of how, not just why, to become a leader that makes Cambridge one of the premier business schools in the world. Oxford University is the oldest English-speaking university in the world, with evidence of its existence dating as far back as the 11th century. It is a private research university that is located in Oxford, England, and is considered a city university, meaning that the school does not have a main campus; rather, several colleges and schools within the university are scattered around the city of Oxford. It is well-known for being home of the Rhodes Scholarship, operating the oldest university museum in the world and having the largest academy library system in England. Students will enjoy spending time in Oxford, the city from which the university gets its name. It is the quintessential college town, complete with theatres, cinemas, cultural festivals and more. The university itself is home to the Oxford University Boat Club, which competes in the annual Boat Race, a heated competition that most students view at least once during their college years. Oxford University, which is one of the top universities in the world, is home to the SAID Business School. This graduate school has the largest amount of business degrees, diplomas and programs in the UK. It is recognized for its reputation in building innovative entrepreneurs as well as becoming a leader in creating business leaders that think expansively and with an eye towards the future. S P Jain School of Global Management is an interesting addition to this list in that it is a private Australian business school that it has a main campus in Dubai, United Arab Emirates, as well as campuses in Mumbai, Singapore, and Sydney. It was established in 2004 and has since gone one to annually be ranked among the top ten business schools in the world for both undergraduates and graduates. S P Jain in Dubai is an excellent opportunity for all business students. Because of its location in the Persian Gulf, students are exposed both to the global city of Dubai and the businesses that operate there. Even more exciting is the immersion into Arab culture, which is fast becoming a powerhouse in the business sector. Students will be able to partake in Arab holidays, the Dubai Food Festival and the Dubai International Film Festivals along with shopping excursions and football and cricket matches. This school is primarily focused on building global business leaders. It’s no wonder, then, that S P Jain has pioneered a multi-campus method to educate their students in the same cultures that are recruiting business leaders. Adding to this is the school’s mission to create students who are curious, think critically, work well in teams and can be trusted to not only deliver a solution to a business problem, but deliver it with effective communication and on time. It is the hallmark of this school to produce dependable, open-minded business leaders who are always looking to solve problems, not avoid them. Established in 1964, Lancaster University is a public research university that is among the top 10 universities in the UK. It is located in Lancaster, Lancashire, England. It is a member of the N8 research universities. Lancaster students have a strong student life that is buoyed by the city itself. Student activities are often intertwined with this historic city, which is nationally known for its arts scene. Over 600 companies and organizations are involved with the arts in some way or another, so there’s always a live theatre or music show on in town. The city also hosts an annual festival known as “Light Up Lancaster” every November, and many students look forward to it as part of a homecoming to the school. Lancaster University’s Management School is also quite impressive. It is a triple crown business school, having achieved accreditation from EQUIS, AACSB International and AMBA. It is also nationally ranked in the top ten business schools in the UK. Students who study at LUMS are treated to a world-class education taught by the brightest minds currently working in business research. Each program is customizable to meet a student’s needs and study and work abroad opportunities for the most ambitious student are always widely available. This is perfect for a student who wishes to learn from a prestigious business school in a historic city.